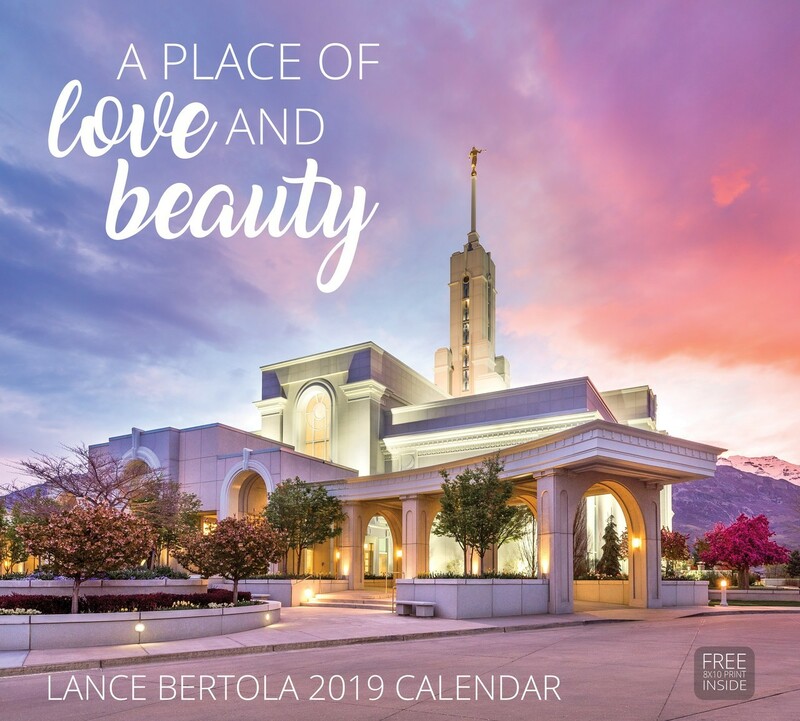 Invite the spirit of the temple into your life with the vibrant photography of Lance Bertola, featured in this special 2019 calendar. 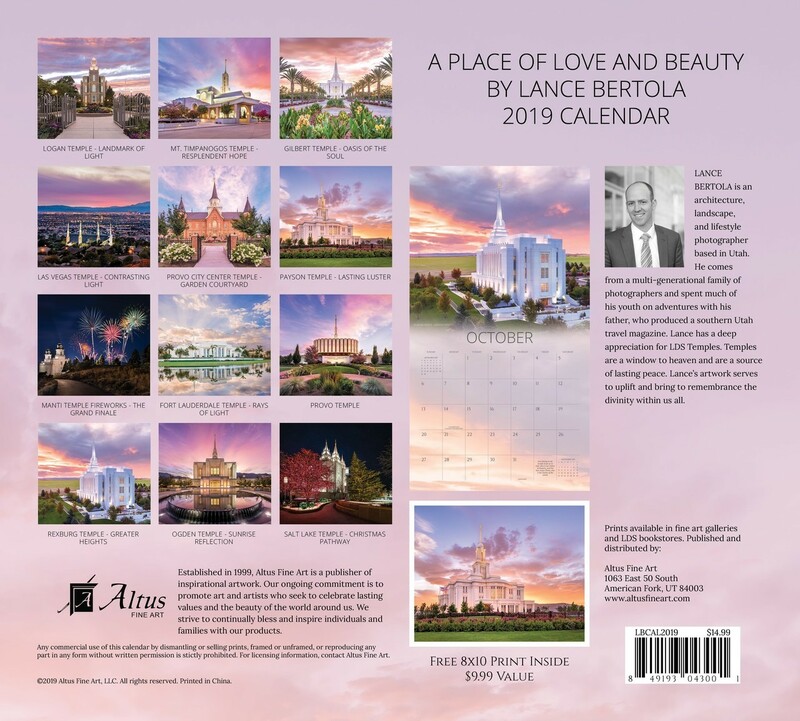 "A Place of Love and Beauty" has 12 months of beautiful temple photos from across the United States. Each monthly spread includes small full-month layouts of the month before and the month after and major holidays. 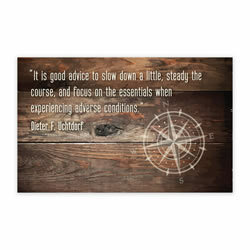 You also get quotes about the temple. 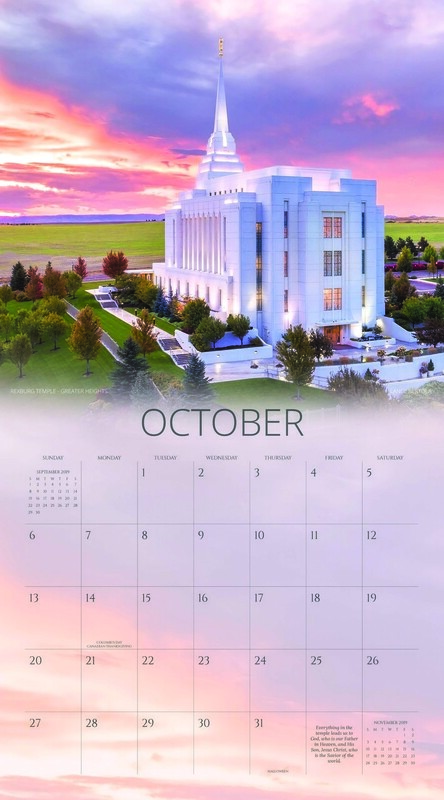 Included with every calendar is a free 8x10 print of the Payson Utah Temple. As I look at the pictures, It's hard to see them clearly, because of the tears of joy and the overwhelming spirit they bring. 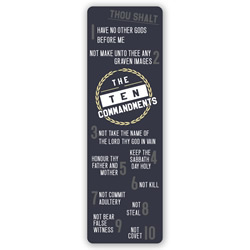 God has blessed you with a keen eye and perspective that helps capture such a wonderful feeling that draws me closer to the Lord. Thank you for sharing the talent God has blessed you with.